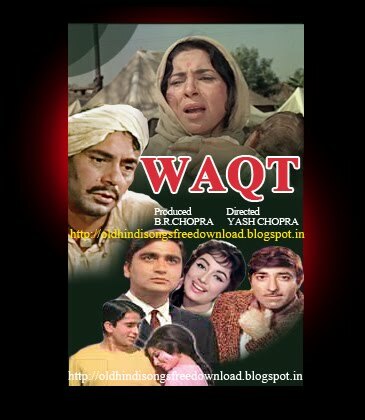 Waqtwas released in the year 1965, directed by Yash Chopra. It is listed as one of the top 10 movies considered by British Film Institute. B.R.Chopra produced it and star casting includes Achala Sachdev, Balraj Sahni, Jeevan, Leela Chitnis, Madan Puri, Manmohan Krishna, Motilal, Raaj Kumar, Rehman, Sadhana, Sharmila Tagore, Shashi Kapoor, Sumati Gupte, Sunil Dutt, and Surendra. Md.Rafi, Manna Dey, Asha Bhosle and Mahendra Kapoor are the playback singers of this movie. All the songs are excellent and these singers had given their best to make these songs ever green.